A few weeks ago, Eventful Group held Mastering SAP conferences in both South Africa and Australia, in the same week. A few years ago, Carolyn Watt, Eventful Group, said “it’s a community not a conference”. Having been fortunate enough to both attend both events in South Africa and Australia I would agree. 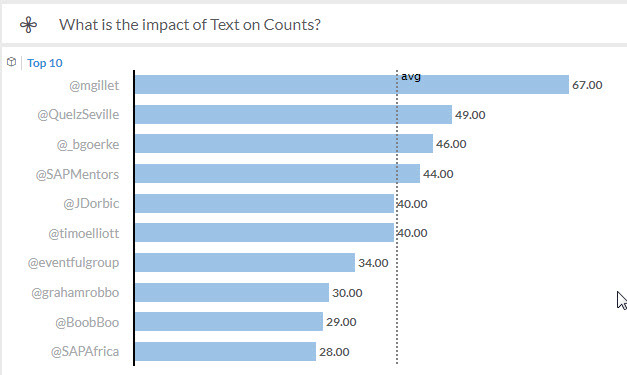 For the first time, I wanted to try the tag/word cloud using SAP Analytics Cloud. I did a search, and came back with this posting from Flavia Moser, SAP. You use R visualizations to create a Word Cloud. But wait, I haven’t been trained in R and I haven’t set up my tenant to work with R. Lucky for me, my tenant is hosted in the United States so I don’t have to set this up myself. 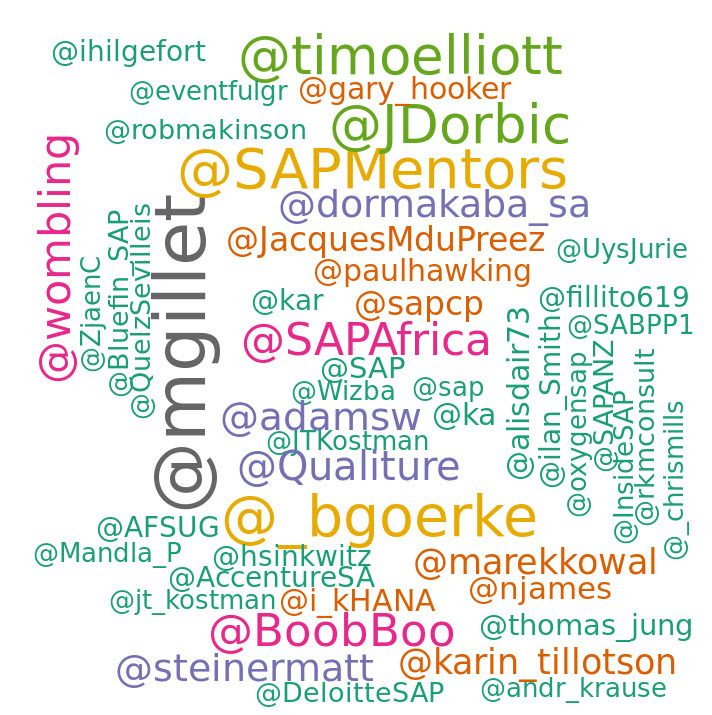 Good to see SAP Mentors and Martin Gillet as the top texts. 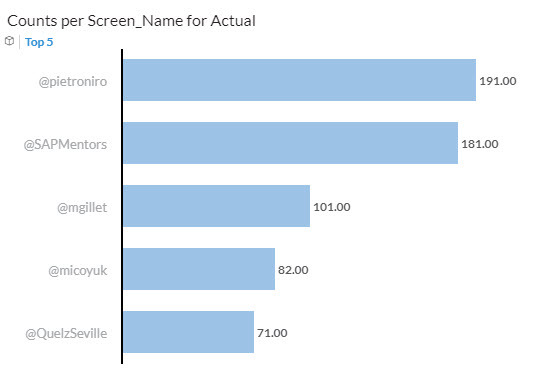 When I went to “build my story” SAP Analytics Cloud proposed the above – this means that Martin Gillet was most mentioned in the tweets…. 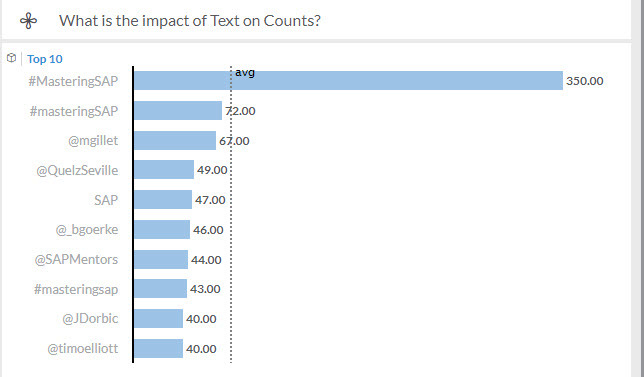 Text analysis by type is shown above, with twitter ID’s outnumbering twitter topics. All texts (twitter topics, ID’s) is displayed above. 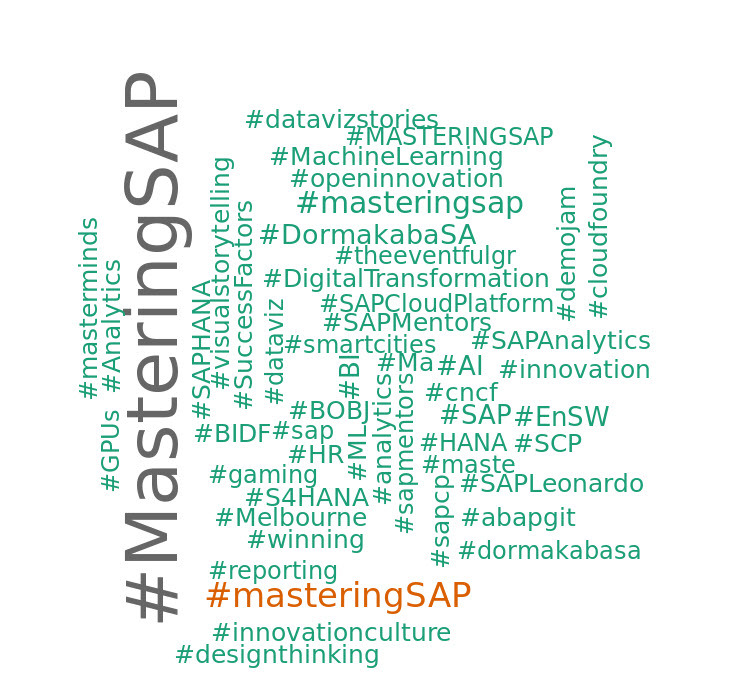 It is no surprise that the tag MasteringSAP is number one or the Martin Gillet is again top twitter handle. I keep trying to learn more from him. 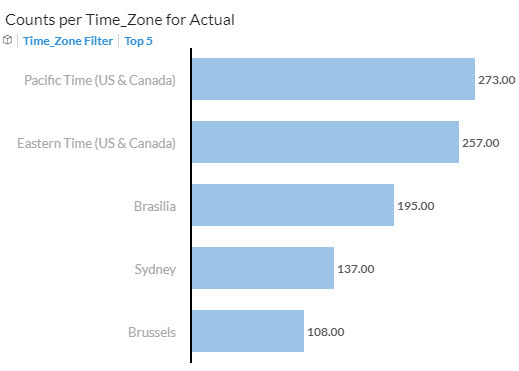 It is interesting that the top time zone is Pacific with East Coast #2 – given that the events were in Australia and Africa! Martin Gillet represents the Brussels time zone. 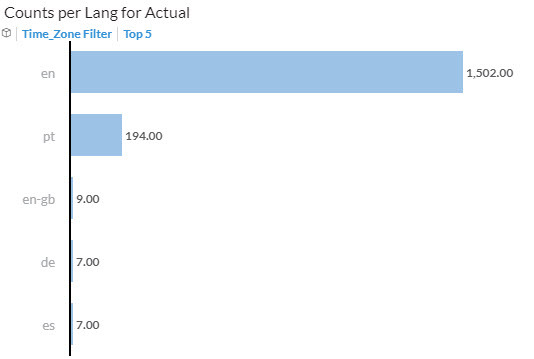 English is the top language and Portuguese is second, given the tweeters from the Brazil time zone above. 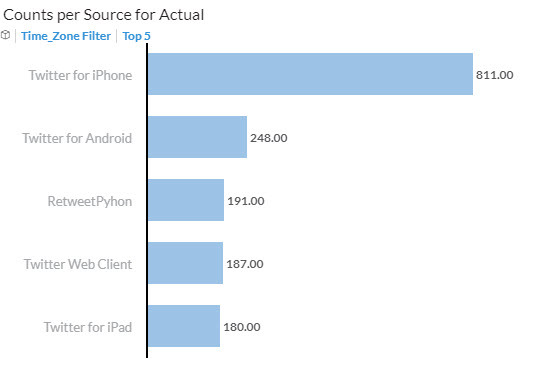 Most people tweeted from their iPhone; it is no surprise that Android is #2 given that Android is popular in Africa. It was a very ‘social’ week on twitter and social media reminded me of how nice it was to visit South Africa and Australia.